Oh dear I seem to have upset some people. I have received comments on my Tunisian circle cushion pattern today saying that I had ripped it off from someone else’s pattern (this pattern here…). What can I say? Yes they do look similar, but I can absolutely guarantee that I have not copied Laura Pavy’s pattern, I have never seen it. 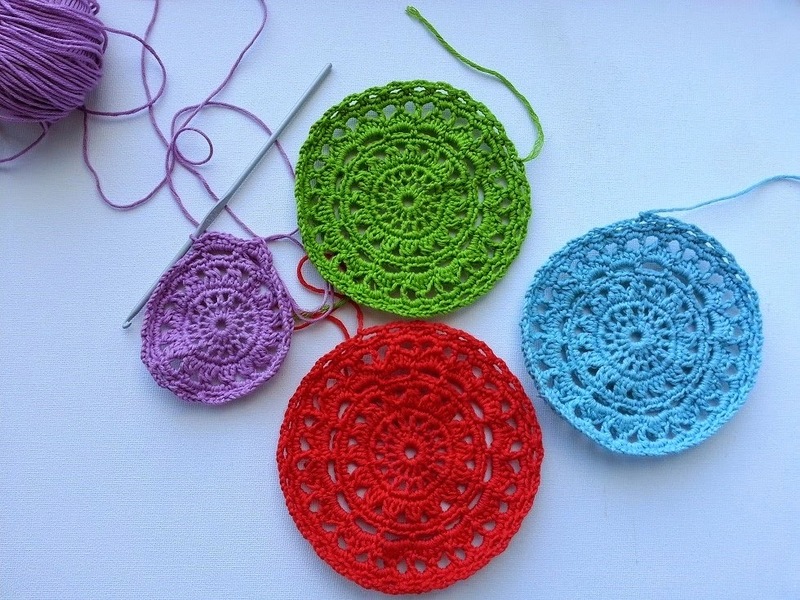 Perhaps the reason they look the same is that to do Tunisian crochet in a circle it will always look similar to this? 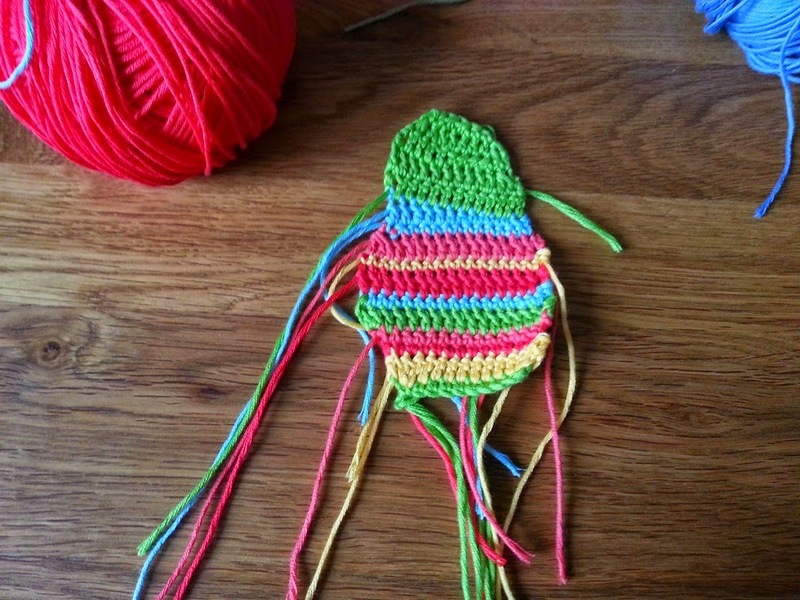 I don’t know, I am not an expert at Tunisian crochet, I was merely playing around with Tunisian trying to get it to go in a circle and this is what I came up with. It is not an easy thing to do, getting all the maths right and one of the reasons the cushion is so small is that I have no idea how to make it any bigger! One of these lovely people that commented on my pattern has since said that she has posted all around social media saying that I am a poacher and saying not to come and have a look here, she also doubts the originality of my other designs. I really have no reply to that only that I have NEVER intentionally poached anyone else's patterns. I am not sure why I would, all my patterns are free, I have no advertising on my blog and receive zero reward for writing and publishing patterns other than for my own enjoyment. So why then would I want to rip off anyone else? I have had one of my own patterns ripped off, did I do anything about it? 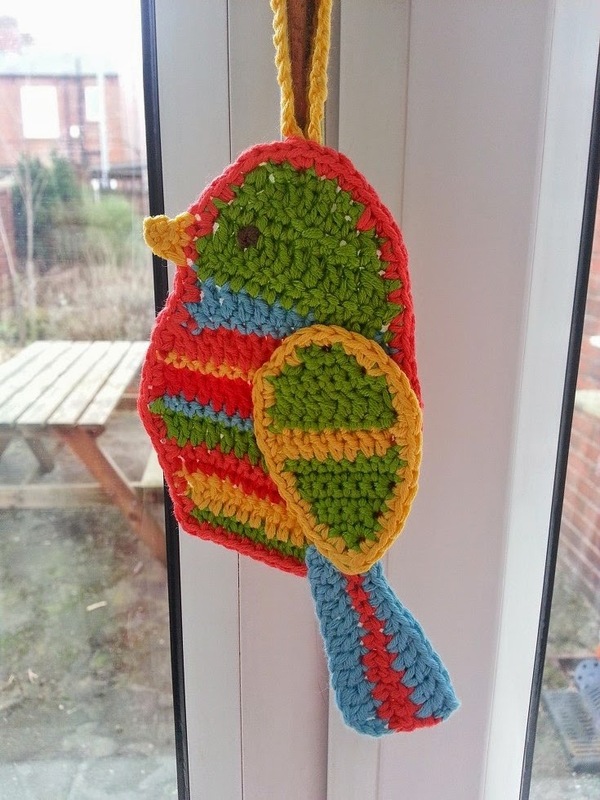 No of course not, it’s crochet, not worth the aggro. And what proof would I have? 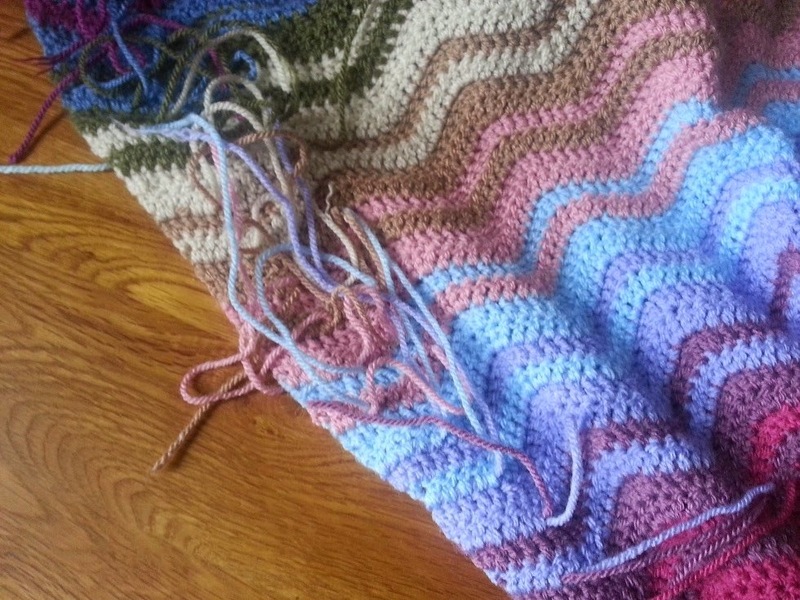 Every stitch has been done before in a million different ways, things are bound to look the same from time to time. 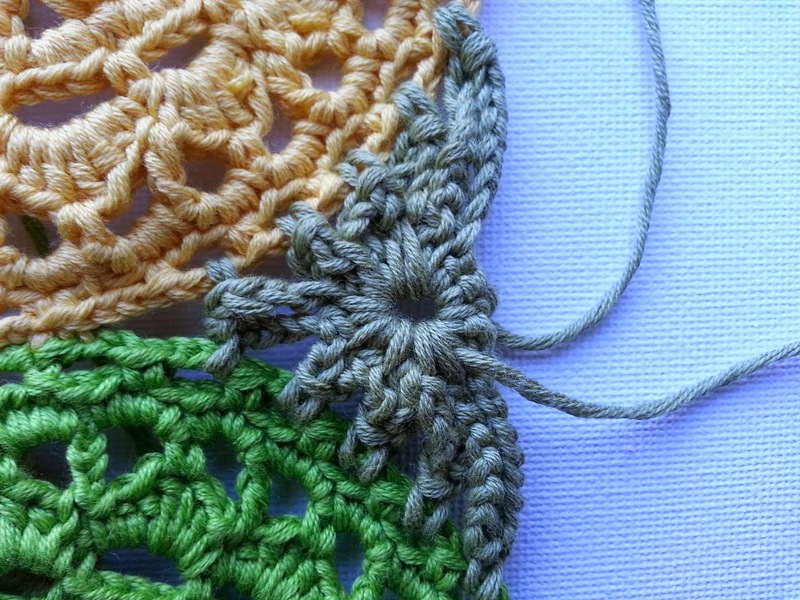 I made a clock once, I thought it was a brilliant original idea until a friend googled crochet clocks and found that http://accordingtomatt.blogspot.co.uk/2012/05/crochet-oclock-tutorial.html had already done them and they were spookily similar. I am more than happy to talk to any pattern designers that think I have copied them and try to allay any concerns they have about me infringing their copyright. I considered taking the pattern down, receiving a raft of negative comments, threats with legal action and such is really upsetting, but that would feel like an admision of wrongdoing on my part and I don't believe that I have done anything wrong at all. 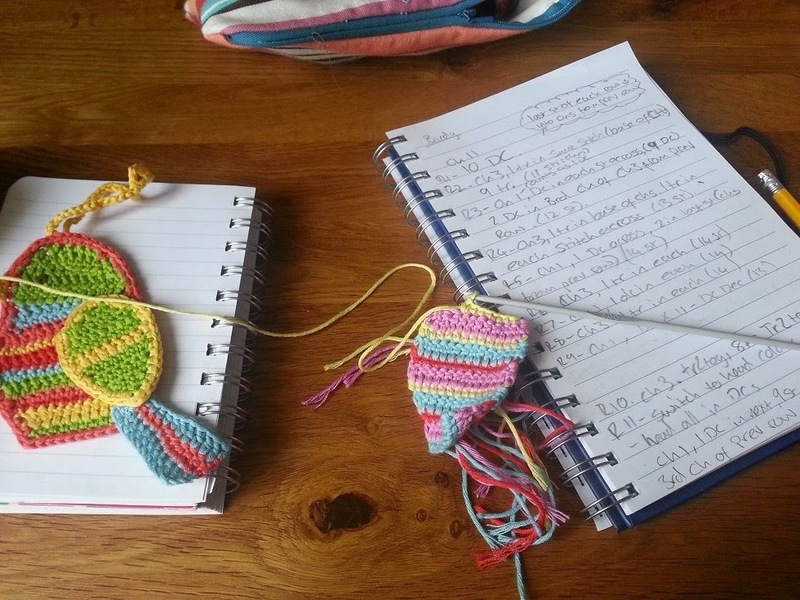 I really don’t want to upset any one, I do this blog for my own enjoyment and being thought of as a thief of other people’s ideas has really upset me, it is definitely not what my crochet is about, I just muddle along the best I can. 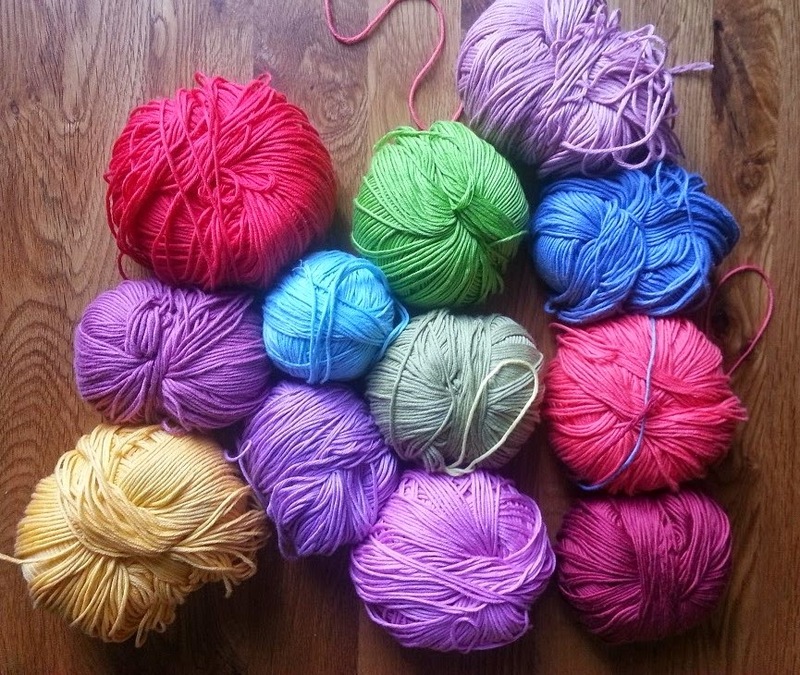 If you want to do Tunisian crochet in a circle I would definitely recommend doing Laura’s pattern, Sunny Daze as I am sure it will be far superior to my little circle cushion. Ooh I am much happier with my crocheting this week. After dithering for ages over what to do with my cotton, I started on my second doily bag and soon got well on the way with it. It did take me a while to work out what to do next with them but I think I have figured it out. I am going to join them in different colours top and bottom so that I can carry a colour theme through the bag. It will all look much better when the ends have been tidily sewn in but I am putting that boring job off for a while. 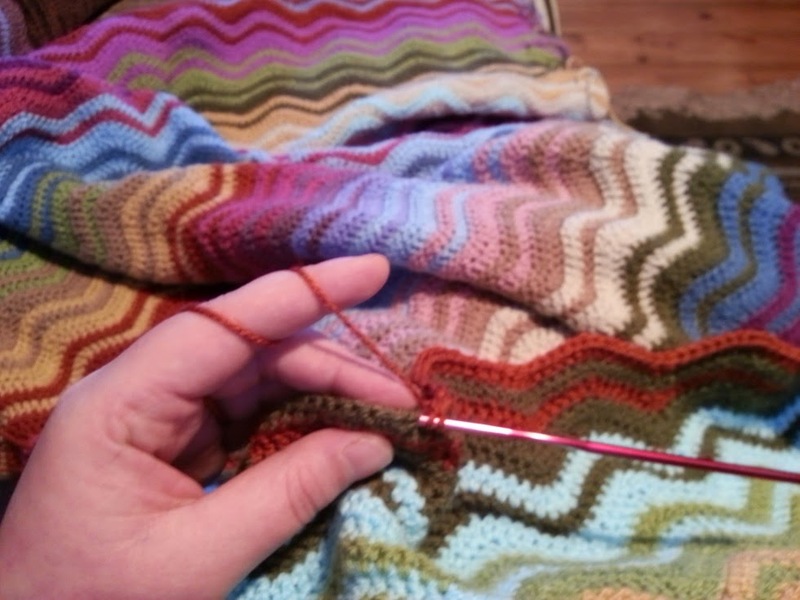 I can see that being a mistake as blanket progress has slowed right down and I am pretty sure that is because the rippling is nearly finished and I will have to get sewing on that too. 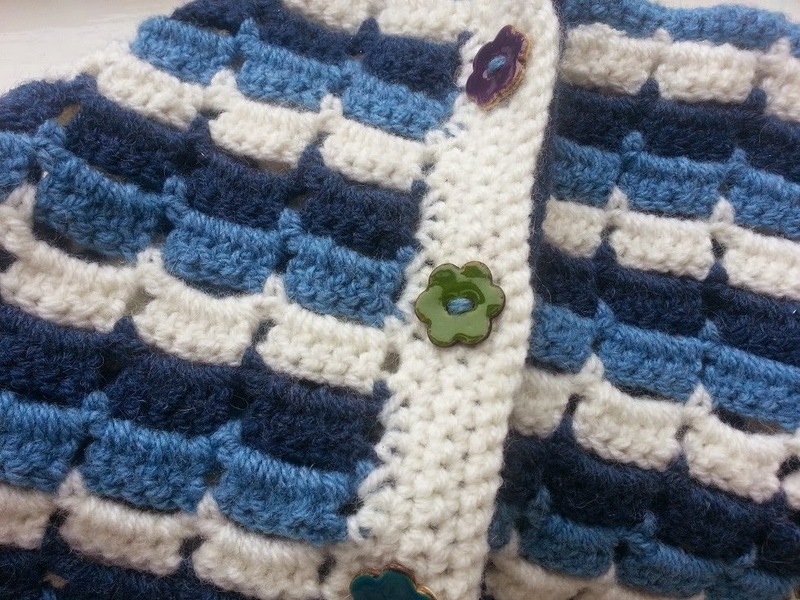 I do mean to sew-as-I-go but it never happens, crocheting is much more fun! So my plan for the rest of the week and the weekend is to make some real headway with the bag, get the bottom made and some progress on the top piece. As most of the fiddly lacy bits are done now I should be able to crochet in the evening under artificial light. 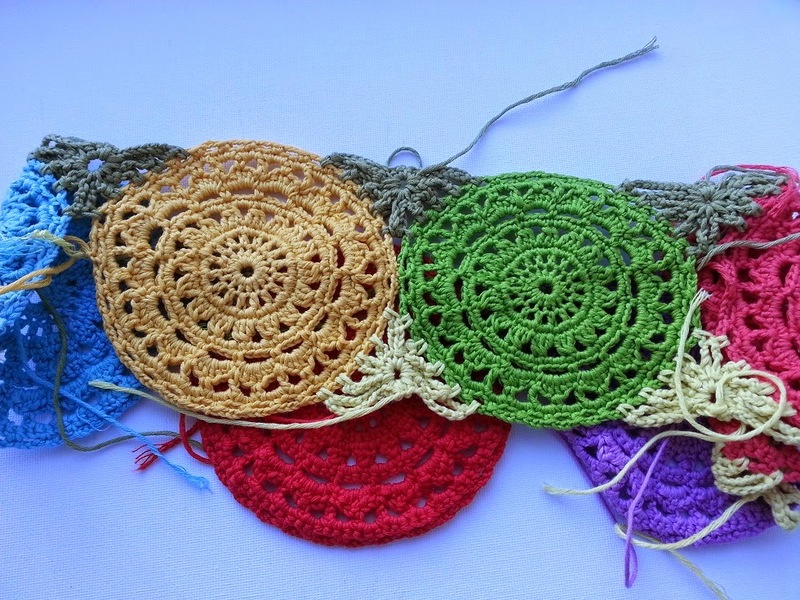 I have really been at the mercy of daylight for the doilies, but we are nearly in March and the evenings are getting lighter and lighter. Of course the light evenings bring a whole host of other things to do, like sorting out my very shabby neglected garden. 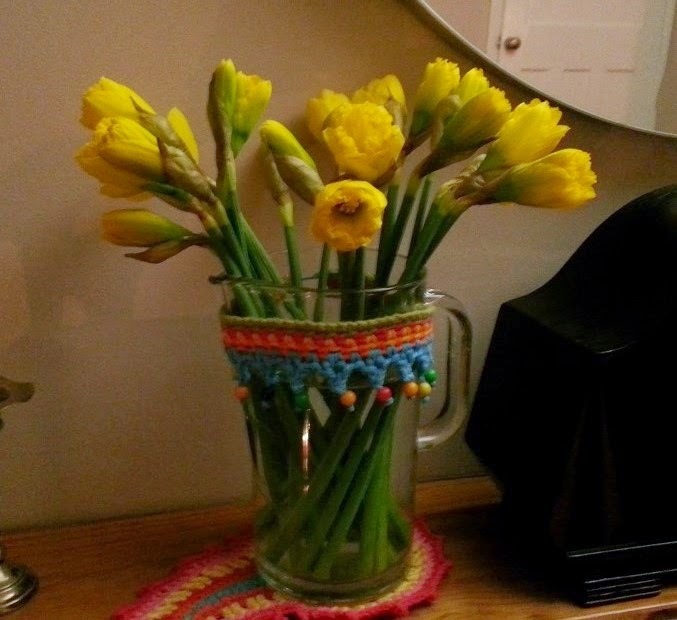 I got my first bunch of daffodils from the graden this week. I would normally leave them there to brighten it up but they were in a place that they shouldn't be so I snipped them and brought them inside. It really does feel like Spring is almost here, my favourite season! … and repeat. So invariably I end up going back to my blanket and settle into mindless rippling. Over a week ago now I thought it was nearly there, but I keep thinking, just a few more rows and so it grows! Anyway, back to the pretty cotton that is playing on my mind. I just don’t know what my problem is with it. 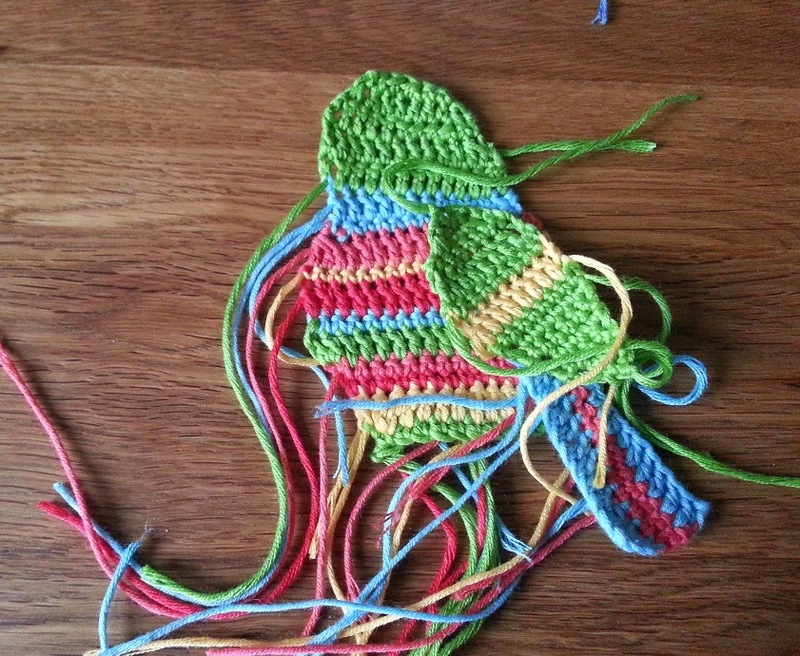 Maybe it is because although the colours are lovely, they are far lovelier in chunks rather than in little details. 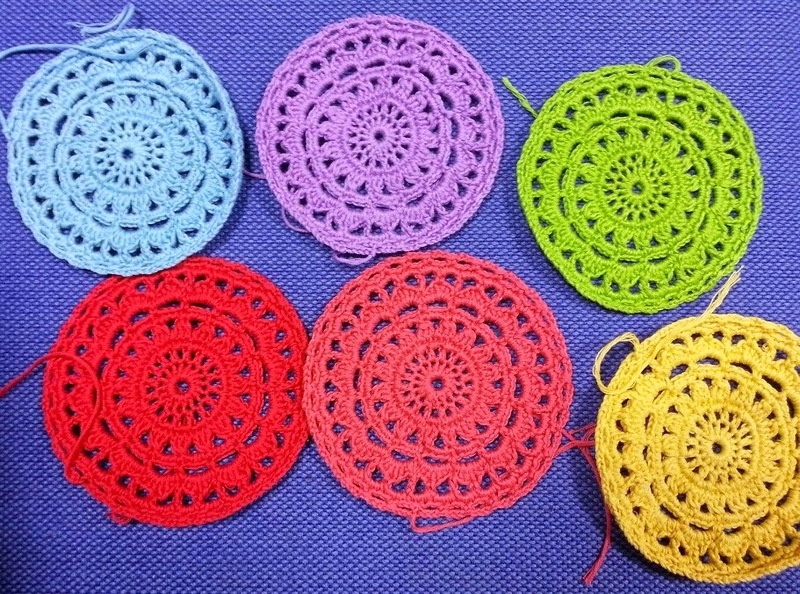 So I have another new idea which (worst case scenario) will give me some surplus doilies. 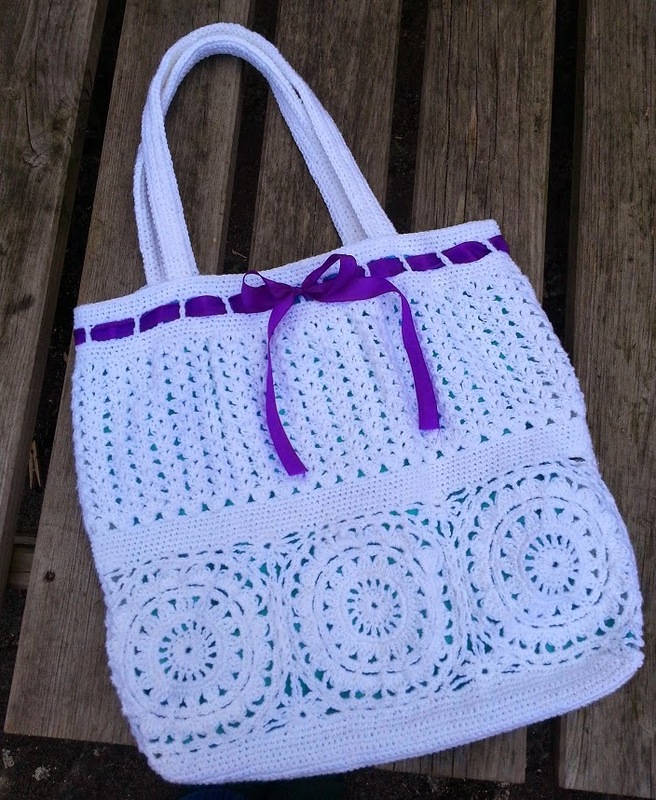 It is very much along the lines of this lacy bag that I made in 4ply white cotton last year. I look back on this bag now with fond memories, it turned out so much better than I had hoped, I may be conveniently forgetting certain bits of it that weren't as fun, like the million ends to sew in (really, there were loads!) and how tedious the straps were. but as I gave it as a Christmas present I would love one of my own. 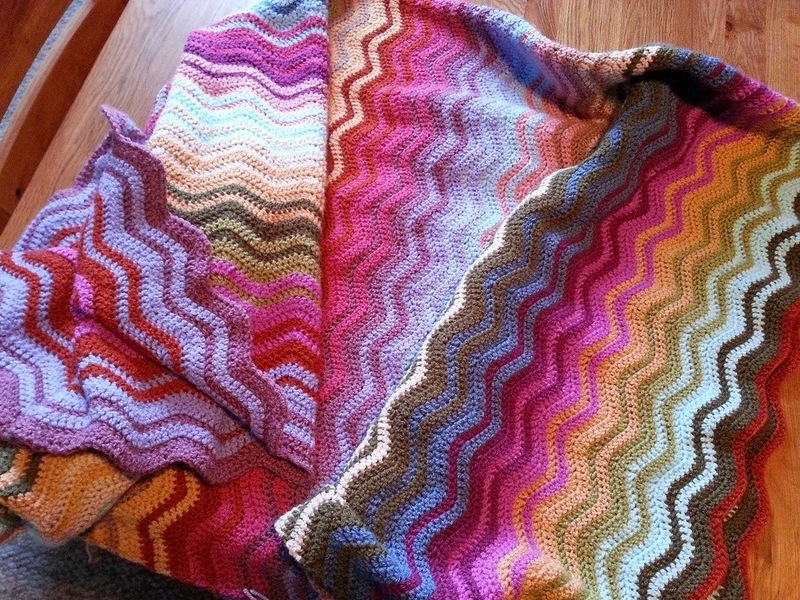 I may well start this, put it down and go back to my blanket but as I am running out of ripples I shan’t be able to put it off for much longer, I need a crochet plan for when the blanket is finished and surely I can do something with the cotton. Ahh a week off! I aboslutely love working at a school and lets face it, the holidays are a huge bonus too. So a week to myself, I used to be really good at having time off, those months between jobs, lots of crochet and creativity, but now faced with a week I have been doing lots of bits and pieces today in an effort to cram everything that I want to do into these precious days. 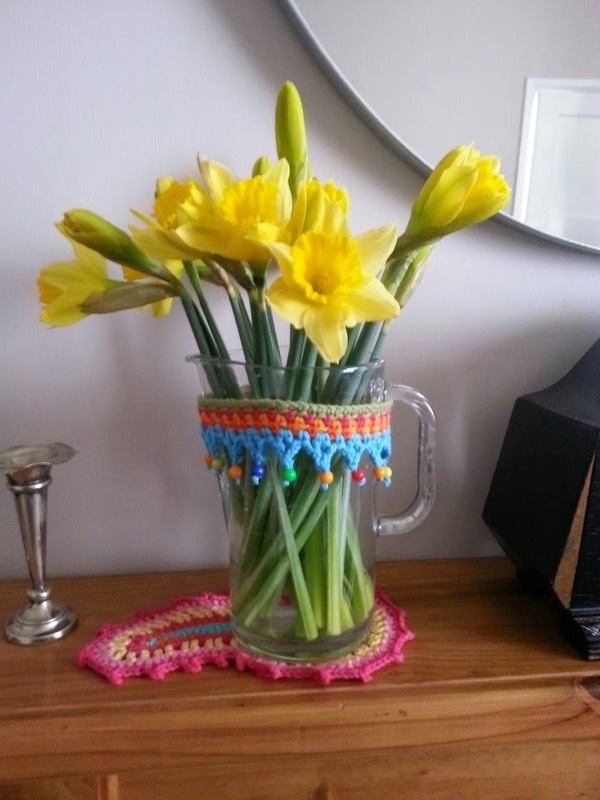 So I started today with a pop to the shops for the boring grocery stuff and treated myself to a bunch of daffs, so cheap and cheerful, I avoided the big elaborate bunches of reduced roses left over from valentines day and chose these, simple and pretty spring buds. perfect. 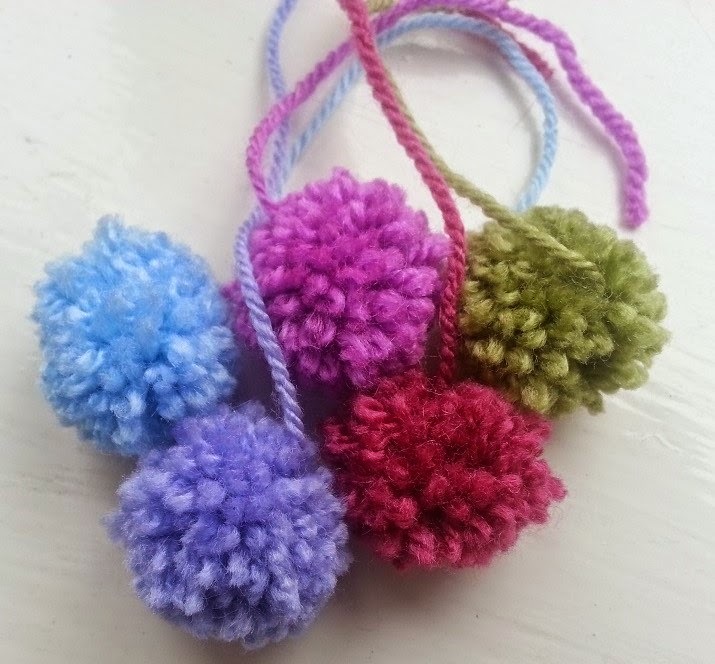 I then dug out my newest purchase from my local woolshop, a pompom maker! 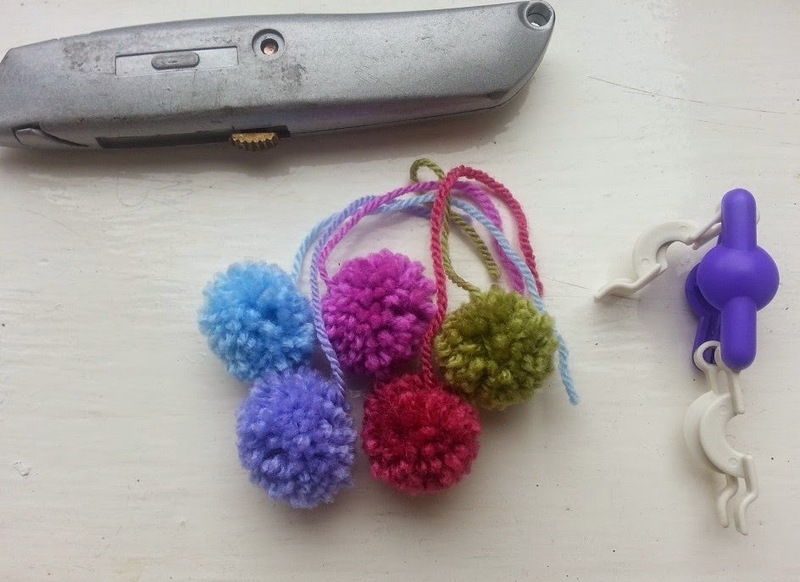 I know, I am a bit late to the party with this one but to be honest I never really have much call for pompoms, this pompom maker makes dinky tiny little pompoms though and I am sure I can find a use for them. I haven't got any scissors small enoughh to use with it so I have resorted to a stanley knife, all fingers are so far intact and no blood has been spilled..yet. 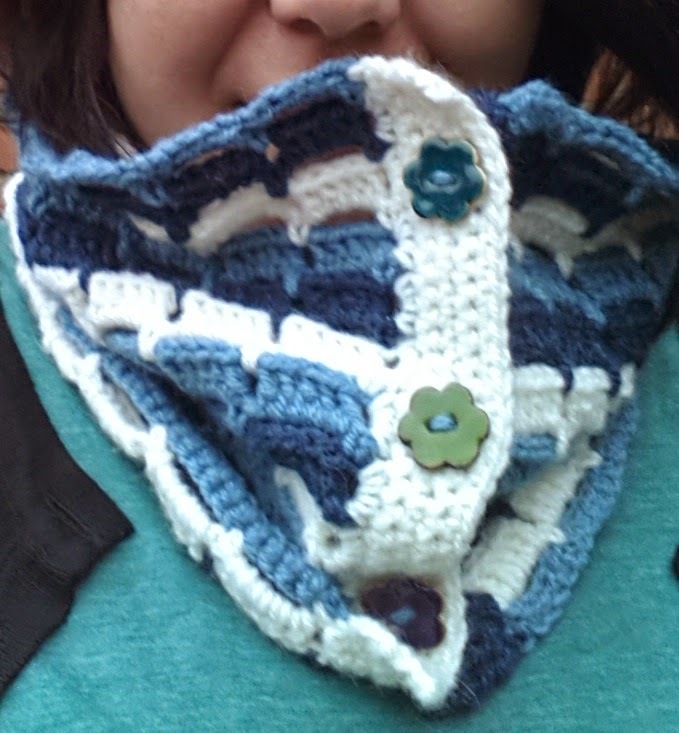 Oh yes, you might have seen I have made a cowl! the pattern is available, for free here. The weather has warmed up a bit too much for it to be much use at the moment but I love the pattern and Im thinking up other ways it could be used. A blanket is the first thing that comes to mind and it would be sooo quick to do but I am a bit blanketed out at the moment. 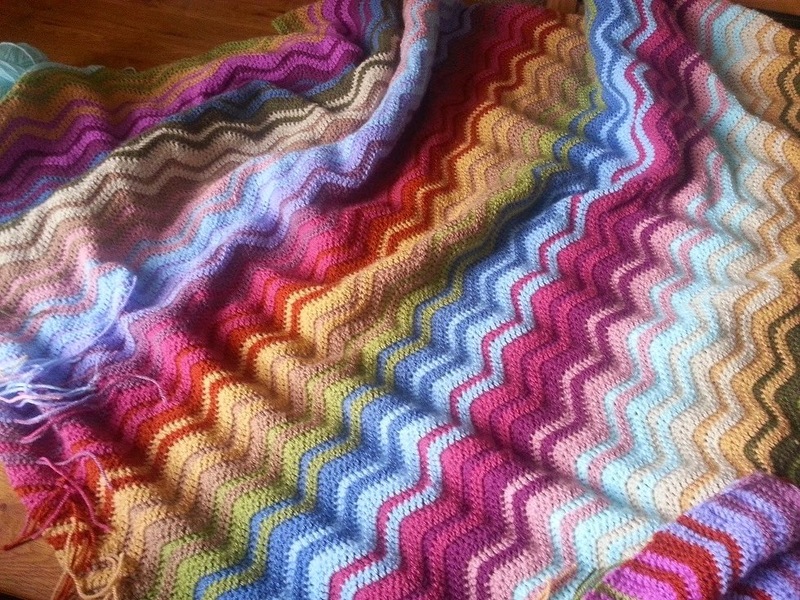 Just a couple more colour repeats and it will be ready for edging and all those ends need sewing in too. I am not looking forward to that bit quite so much. Hellooo! I hope you have had a good week/weekend, I really don't know where the days have gone this last week, it was Monday, I blinked and then it was Friday. 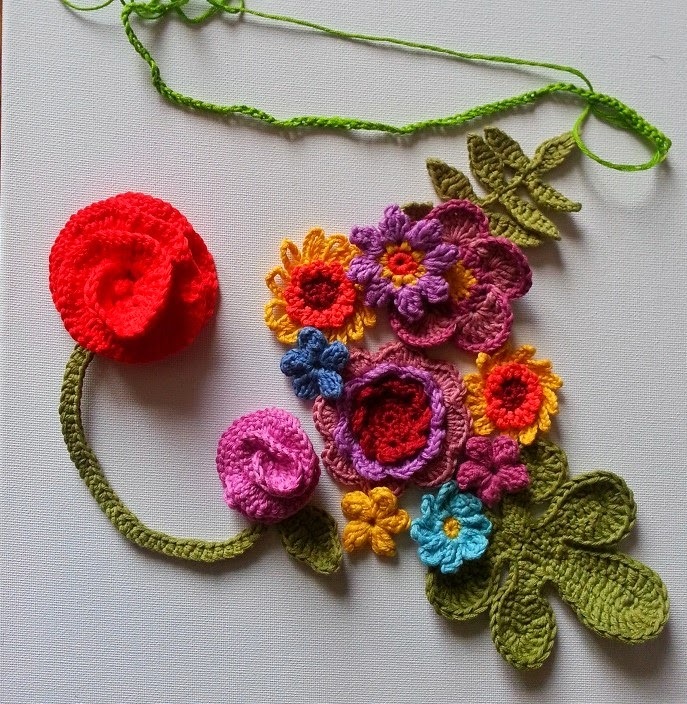 I have to confess to a total brain freeze when it comes to my crochet flower picture. Perhaps brain freeze is wrong, it is more like dozens of ideas all at once causing me to have completly no idea which one I want to do. I have found a solution to this, the plan is to make all the different flowers and greenery that I might want to use and get a couple more canvasses and try them all out. This is going to take some time, it is definitely a slow burner this project. 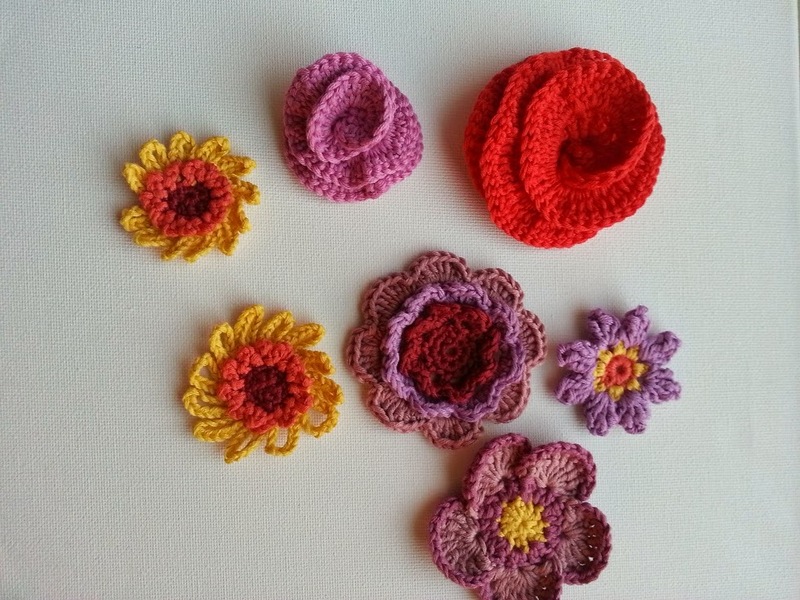 So yesterday, while I was busy dithering and thoroughly bored of following patterns for a while, I thought a little bit of freeform crochet might get those creative juices flowing, as well as being imense fun just crocheting for the sake of it with no plan. 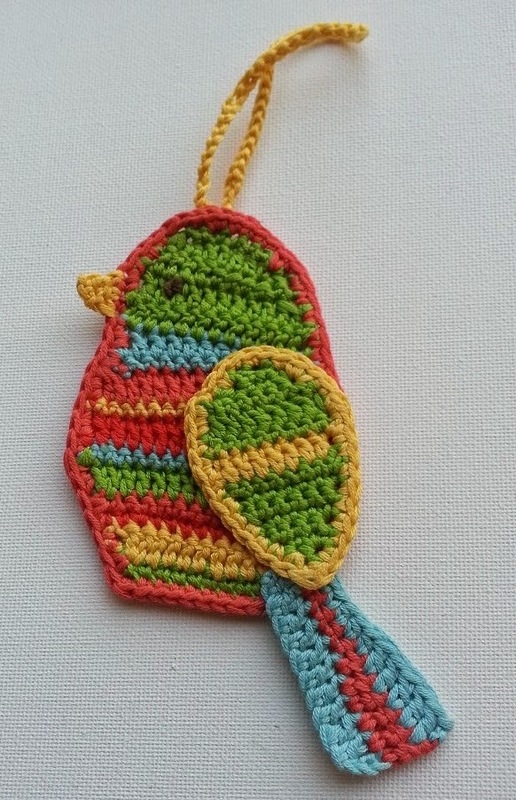 A little hangy birdy! A bit rough and ready but that's freeform. It is such a simple little thing that I may well make up some more and neaten the pattern up a bit and write it up for you. 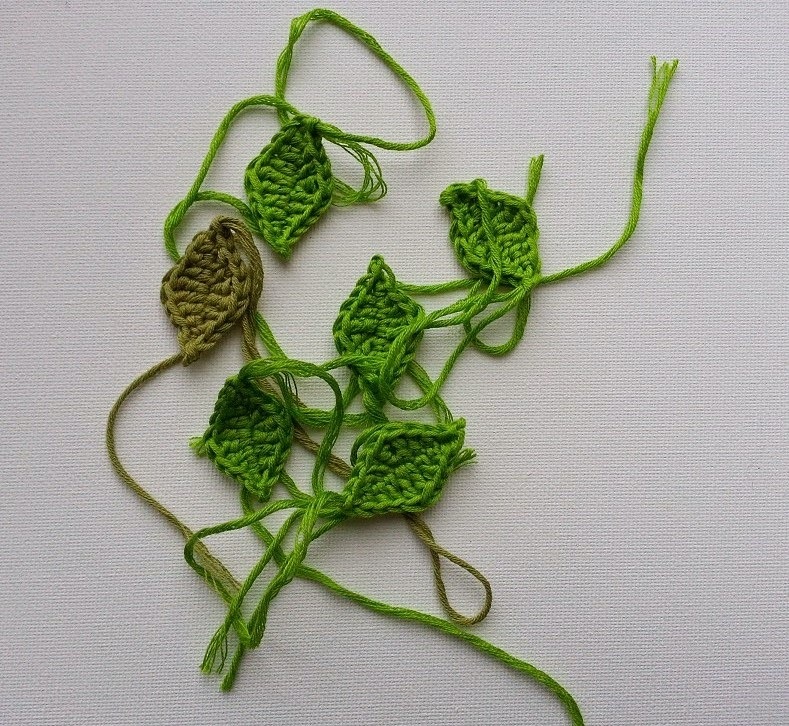 I think it would make a great bunting type of onament, lots of tweety birds all hanging in a row.